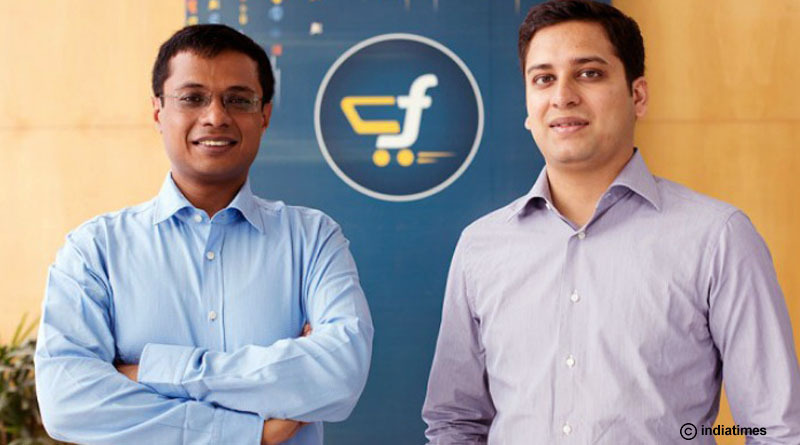 The masterminds behind the first e-commerce venture in India, Sachin Bansal and Binny Bansal have indeed had an inspiring life story. From co-working at Amazon to setting a footing in an e-commerce business in a country like India, these two friends have come a long way. Sachin and Binny, although share the same surname, aren’t brothers. Both Bansals have done software engineering from IIT Delhi and were co-workers in Amazon, India for more than 6 months when they came up with an idea of starting up their own E-commerce project. In the year 2007, their dream came true when they registered their company under the trade name Flipkart in Singapore, with its headquarter being established in Bengaluru. Flipkart started with selling books online and was a leading online bookstore then. The partners, initially went door to door to deliver the products and to get the feedback from their customers. Their main focus was on maintaining a good customer chain rather than on earning the profit. They were the first e-commerce company to provide cash on delivery option. Now, to provide a smooth delivery, they have established their own courier service named eKart. The Big Billion Sale proved to be the best thing happened to the company. Though there were some glitches reported on the website, it still managed to sell products worth Rs 650 crore in 10 hours. Initially being an online bookstore, Flipkart has now acquired big brands like Myntra and LetsBuy. The co-founders have also been honored the ‘Asian of the Year’ award by The Straits Times of Singapore last year. ” Flipkart’s innovative steps, aimed at transforming commerce in India through technology, have truly disrupted the market and it makes us proud to be recognized for this achievement. We accept this honor on behalf of all Indians” said Sachin Bansal. Adding more feathers to their already crowded hat, lately, Binny Bansal and Sachin Bansal have also made it to the Forbes list of top Indian billionaires.